Pixie cuts are super short cuts where the hair is cut to frame the face. Pixie cuts are pretty daring and it takes a bold personality to pull off a pixie cut. But when they are done well pixie cuts can really highlight your facial structure and they can look quite pretty and feminine even though they are very short. Pixie Cuts are one of the best short hairstyles for fine hair because they are easy to take care of and there is no length to weight down the hair so the hair looks bouncy and healthy. Undercuts have a portion of the hair close to the head shaved with clippers and the upper portion of the hair is left long. Undercuts are usually thought of as being edgy but they have become a lot more common in the last ten years. Undercuts are cool during hot summers and they are easy to dress up or down just by changing the style of the top hair. Undercuts are a youthful style that are more appropriate for younger women. One of the most classic short hairstyles for fine hair is the bob. This short hairstyle became popular in the 1920s and it’s been a staple in hairdressing ever since. The bob can be cut short or medium length and it can have layers or be totally straight. Some bob cuts have bangs and other don’t. There are hundreds of ways to style a bob hair cute and it looks good on practically everyone. This is why everyone loves the bob. Bobs are appropriate for all ages from the very young to the very old. And a classic bob looks look on almost every face shape. The bob is a universally flattering hairstyle that can be customized to work with the texture of your hair and the individual shape of your face. People with fine hair should always get a layered cut, no matter what type of cut they get. Lots of short layers, which is sometimes called stacking in the hairdressing industry, will make the hair looks thicker and fullers without the use of tons of products. Products like gels, mousses, and hair sprays can make the hair look thicker but also weight the hair down. Stacking, or getting lots of layers cut into the hair, will give your hair the body and fullness that you want without having to use a lot of expensive products to get a good look. Sleek curls and vintage style pin curls look great on fine hair. Fine hair usually holds curls really well. And the curls give life and fullness to fine hair so that the hair looks healthier and more dynamic. Curls are a great way to disguise thin and fine hair and make the hair looks healthy and full. If these short hairstyles for fine hair aren’t working for you, people with fine hair can fill out their hair so that they can have more flexibility when it comes to hairstyles with the use hair extensions and weaves. Hair extensions and weaves can be dyed to exactly match your hair color. Or you can use pre-colored extension and weave pieces in bright or fun colors like purple or blue if you want to get a little crazy with your hair. If you want to use extensions and weaves to add fullness but not necessarily length to your hair small individual pieces of hair extensions can be placed alongside your own hair. This will make both the crown of your head and the sides of your head look like the hair* that is there is full and luxurious. There are several different methods for attaching extensions and weaves but most of the time extensions and weaves are sewn into your hair and they periodically need to get tightened to make sure they keep up with your growing natural hair. Having hair extensions put in is a fantastic way for people with fine hair to have long hairstyles because the extensions provide lightweight length that won’t weigh the fine hair down. Hair extensions can be expensive but it’s worth paying more to go to an expert to have extensions done. Getting extensions put in by someone that isn’t well trained can lead to significant problems with your hair. So if you want to get extensions or weaves to make your thin hair look fuller be sure that you get recommendations from locals to find hair stylists in your area that specialist in extensions and weaves. Eating a healthy diet is essential if you want to take care of your hair and keep it shiny and soft and full. You should be eating lean protein and healthy fat to give your hair the nutrients it needs to grow thick and full. Foods like coconut oil, which is one of the healthiest fats you can eat, are essential when you’re trying to get your hair to grow faster and to be healthy and strong. You should be eating things like fish, chicken, avocado, cashews, pecans, walnuts, and eggs. Eggs are a fantastic thing to eat if you want better looking hair and nails. You should also be taking supplements if you want your fine hair to grow faster and to look amazingly soft and shiny. Eating right will help, but it’s taking supplements that will really cause a noticeable change in your hair. Vitamin E is one of the most recommended vitamins and mineral to take to make your hair look fantastic. You should also be taking a high-quality multivitamin and an iron supplement if your iron is usually on the low side. The biggest mistake that people with fine hair make is watching it too much. When you wash your hair often with harsh shampoo you can strip all the natural oils out of your hair and leave it unprotected against styling damage, weather, and other problems. According to hair experts you should not be washing your hair every day unless you are an athlete and are working out hard every day. For most people stylists recommend washing your hair once or twice a week only. If your fine hair has a tendency to get oily you can use a dry shampoo to soak up the oil and make your hair look soft and healthy between shampoos. You were probably taught that the proper way to wash your hair is to use shampoo and give your hair a good scrubbing then condition it so that it is soft and easy to manage. But that’s entirely wrong. Even though it seems counterintuitive to use conditioner first and then wash your hair according to hair experts that’s exactly what you should be doing if you have fine hair. Fine hair can be damaged by overzealous shampooing and conditioner isn’t always enough to fix the damage. When you condition your hair first the conditioner softens the hair and make it less prone to breakage and tearing when you are shampooing it. Make sure that you are using a shampoo designed for fine hair also so that you aren’t using a very harsh shampoo that can strip or damage your fine hair. When you have fine hair and don’t get it cut regularly it will start to look limp and sad. For limp hair, regular haircuts are essential even if you just get regular trims. Trimming off split ends and cleaning up the layers in your hair will keep your hair looking thick and full. If you have a haircut where your hair is stacked or heavily layers you need to get those layers recut frequently so that they don’t grow out and leave your hair all one length and looking sad and flat. 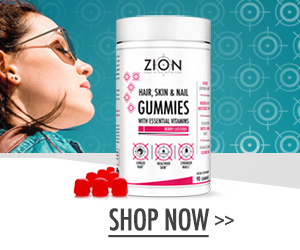 Limp hair can be gorgeous hair if you take supplements, eat a healthy diet, take care of your hair, and make sure that you wear your hair in a style that is designed to make fine hair look fantastic. There are many solutions and short hairstyles for fine hair. Everyone’s hair grows differently so you must find what works for you and looks best on you.